Architects from around the state gather for the American Institute of Architects’ (AIA) monthly program. 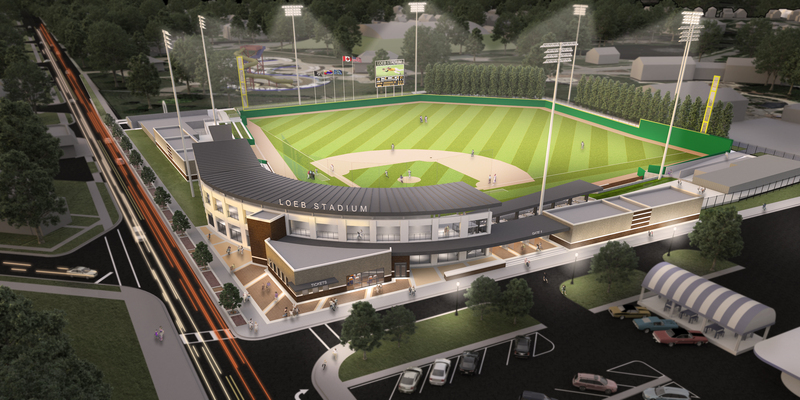 American Structurepoint’s Matt Jennings, AIA, was one of three participants asked to share a current project in a 60-second presentation for a segment called “3-Minute Snippet.” Matt strategically prepared and presented the City of Lafayette’s Loeb Stadium Design. By presenting a SketchUp model, Matt was able to articulate progress, challenges, and what the design process has provided to the city of Lafayette – all in 60 seconds! You might remember the stadium’s conceptual designs and its 1940s-era Art Deco inspiration, which were revealed in the summer of 2017. You can also read about the project’s progress and find current details in a recently published piece from the Lafayette Journal and Courier. Construction on the project is set to begin this summer and will open to fans in 2021. How exciting it is to share American Structurepoint’s work with the community and learn how this stadium will come to life!